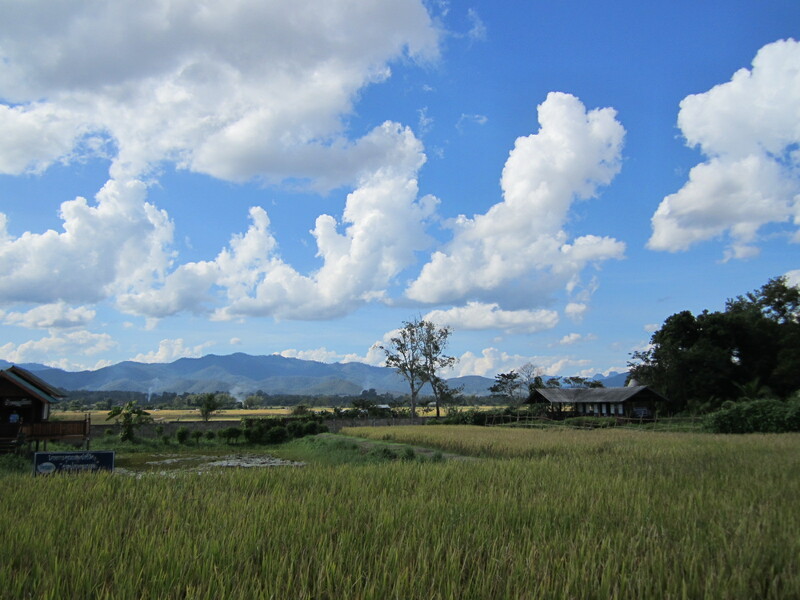 Where to start after five weeks into our living here in Phrao? Life has been busy and there have been more ups than downs. It all feels a bit daunting to finally get this website started so I guess there isn’t really another option than to start. We have a 1 bedroom apartment in the town of Phrao that we have really enjoyed living in. We have gotten to know our neighbors and explored the surprising variety that even a small town like has to offer. Coming up to speed on our projects with Warm Heart has really hit a stride for both Joelle and I. Currently I am managing and implementing our new office construction and network build out along with some construction planning for the dry season. Joelle is working hard on streamlining parts of the micro enterprise weaving projects and bringing in some new designs. We are both learning Thai with relative success in some areas, it is a beautiful language but difficult for a Western ear with the five different tonal sounds that can change the meaning of a word that is spelled the same. What to say about food? Those of you that know Joelle and I know that we love Southeast Asian cuisine and in particular Thai food. Let’s just say that the variety and quality of the food here is incredible and we feel really spoiled to have access to it every meal. 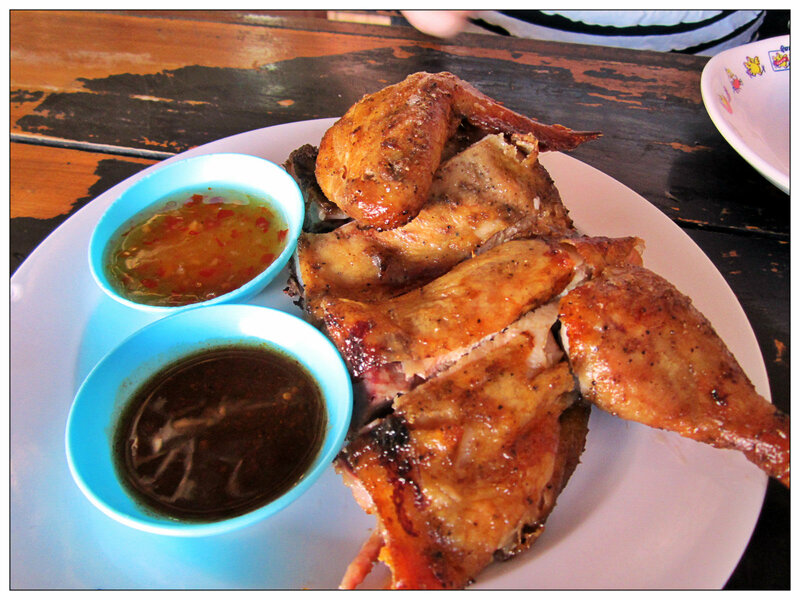 My personal favorite Gai Yaang ( grilled chicken with sticky rice ) pictured below. 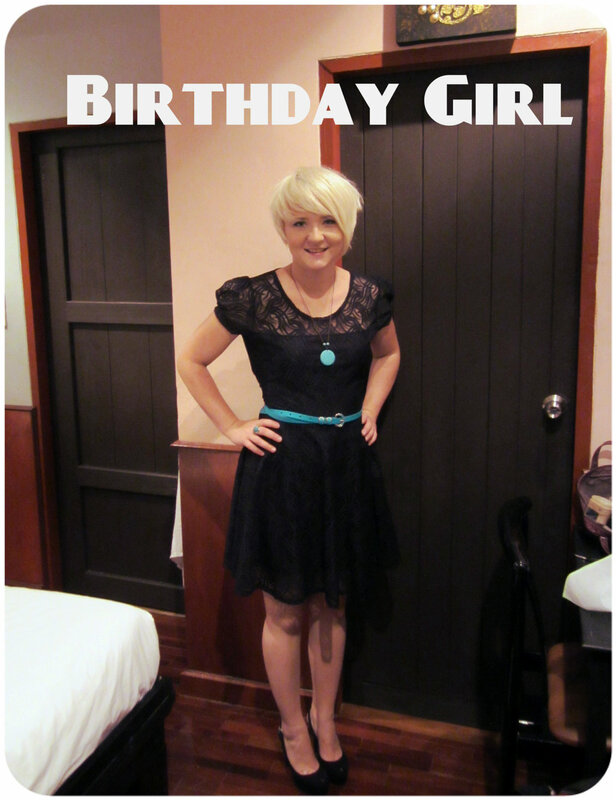 We have celebrated Joelle’s birthday with dinner and dancing in Chiang Mai and dinner last night with our team here in Phrao. I am really excited for the next few weeks and will be committing to blogging regularly from here on out. This entry was posted in Uncategorized and tagged Food, Phrao, Travel, Work on December 16, 2012 by aaronjstewart2012. I am glad you had a great birthday. You look fabulous as ever! We are in Black Butte (outside of Sisters, OR) enjoying winter wonderland. There is actually a blizzard warning in effect until tomorrow afternoon, in time for our drive home. It is great to see you too integrating well in the culture and we are very jealous of your culinary endeavors. Stay safe, have fun, and we cannot wait for your return. Late reply but thanks for commenting Courtney! We miss you guys!